The Honor 6X smartphone went official last October in China and while it may have escaped its homeland via some third-party retailers, the 6X wasn't officially available anywhere else. That's about to change though. 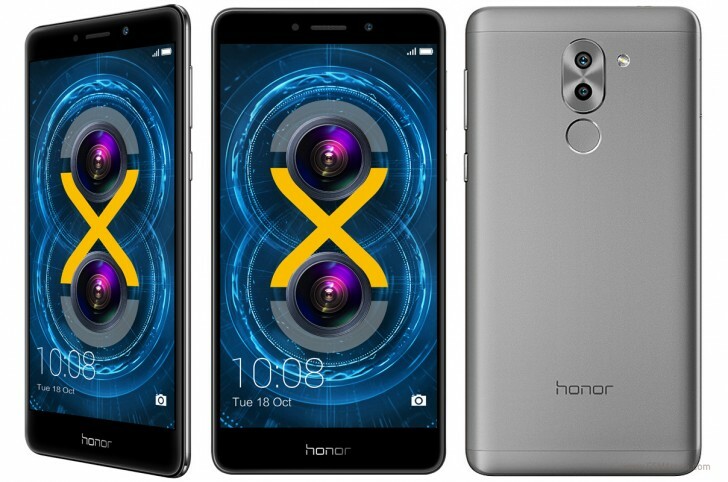 Today, at a pre-CES event, Huawei's subsidiary Honor announced the expansion of the availability of the Honor 6X. 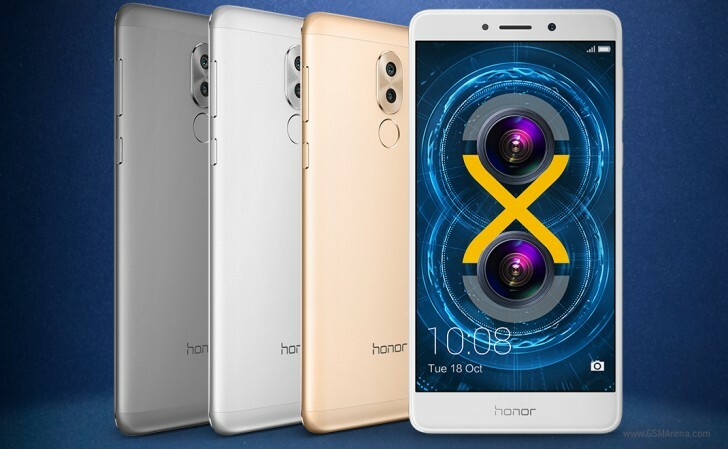 The attractive mid-ranger fared well in China for its attractive specs and we are glad Honor is bringing the 6X to even more markets. The Honor 6X features a 5.5" IPS 1080p display and Kirin 655 chipset wrapped into a metal unibody. The chip is mid-range grade with octa-core processor (4x2.1 GHz A53 + 4x1.7 GHz A53) and Mali-T830MP2, but you will be able to get it two configurations - 3GB RAM with 32GB storage and 4GB RAM with 64GB internal memory. The highlight feature of the Honor 6X is the dual-camera on its back. Unlike the Huawei P9's, this setup is a more traditional one. The first sensor is a 12MP one, coupled with phase-detection capabilities, while the secondary 2MP cam serves only for acquiring depth info. While the bokeh effects became trending with the iPhone 7 Plus, Huawei was playing with those for quite some time and the Honor 6X is building on this experience. The Honor 6X comes with a fingerprint scanner and a 3,340 mAh battery that is promised to last 2 days on a single charge. Finally, the available color options for the Honor 6X are Gray, Gold, and Silver. You'll be able to place an order for the Honor 6X starting tomorrow if you're in the US, UK, France, Germany, Italy, the Netherlands, Spain, the Czech Republic, India, Russia, Malaysia, Saudi Arabia, and the UAE. The global model, intended mostly for the European markets, will be released on January 10 via Vmall and Amazon. It's going to cost €249 in most EU markets and £224.99 in the UK. You will be also able to get the 4GB/64GB flavor by the end of March for €299. 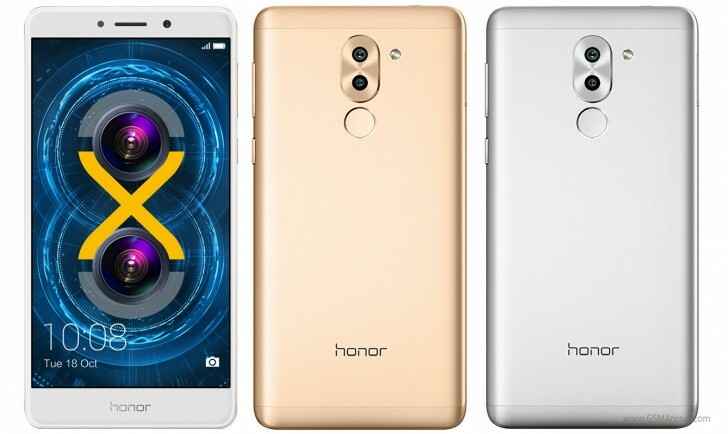 In the US, the Honor 6X is priced at $249.99 and will be sold by HiHonor, Amazon, BestBuy, and Newegg. The first units will ship on January 10. The 4GB/64GB model is expected to launch by the end of March for $299.99. US customers will be also able to participate in the so-called flash sales, where the Honor 6X will be available in limited quantities for $199.99. Those will take place on January 10, 17, 24, and 31 at noon on HiHonor.com. You still complaining about the price???!! You are not serious!